This year I've decided to change it up a little on a Sunday. My post have always been silent, just a photo but I do like to write and I think atleast some of my photographs deserve some sort of description alongside them. 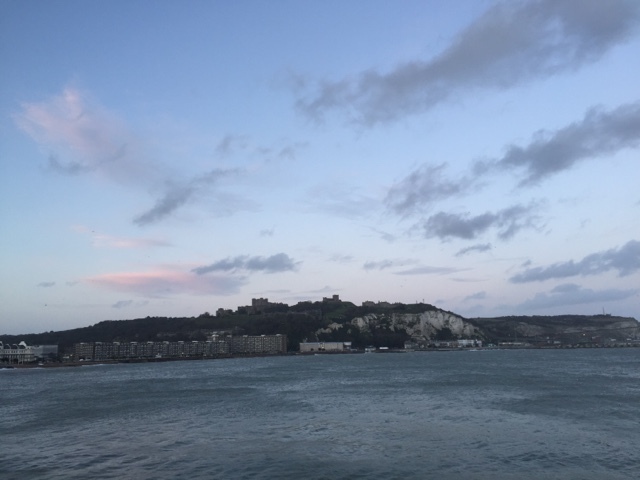 Above is my view of Dover Castle and the White Cliffs of Dover. This photo was taken when I was walking along the Prince of Wales pier with the kids on New Year's Eve. There is no filter used on this, scenery like that doesn't need enhancing in my opinion. Unfortunately this will be the last photgraph from that standing point because Dover's pier is being shut down and taken away to make way for new developments, a very wrong decision in my opinion. Many memories have been formed along this walkway. Justin fishing with the girls, myself running lengths of it to blow away the cobwebs and all of my family enjoying much deserved ice creams when we manage to reach the end. It seems like the end of an era, I don't think change is necessary, sometimes newer isn't always better. I guess this year we will have to find a new place to visit, to discover different views to admire. That's sad the pier's going. Was it because the upkeep was too much? Or just speculative developers and councils not able to say no because of the money? A shame the pier's going. This is a lovely dramatic shot - the clouds are fantastic and really draw you in to the main body of the picture. Lovely to see the castle and cliffs from this angle, it reminds me of holidays and going to France. That is a gorgeous view. I don't like change when it comes to things like that either. It's a part of the history in the making for as long as it's been there. Lovely photo and memories and I'm sure you will find somewhere else to have more beautiful memories. Not all changes are necessary I agree and it's sad that a part of the local history will be lost. What a lovely photo and it definitely needed some words! So sad to read that the pier will be no more. Lovely photo. Sorry about the pier. But I'm glad that you've not left the photo wordless.